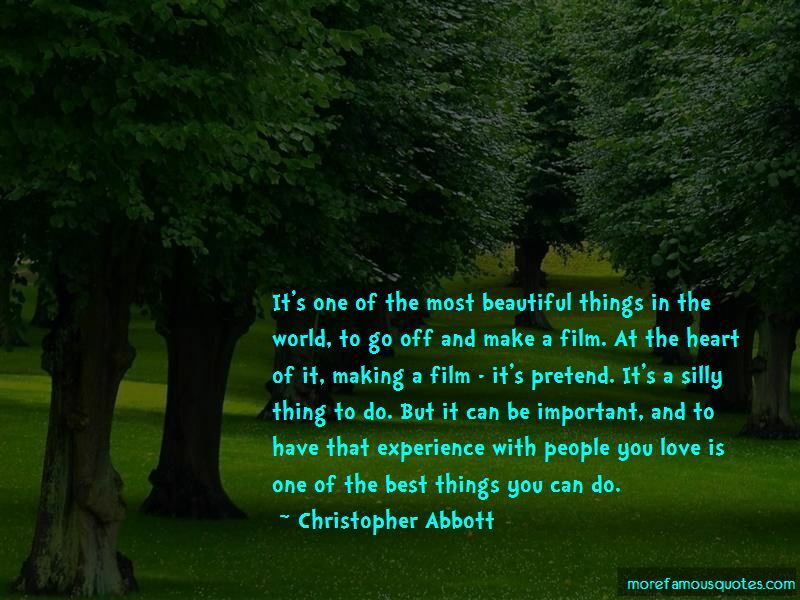 Enjoy the top 11 famous quotes, sayings and quotations by Christopher Abbott. We just weren't a family that gathered around the TV. I grew up in a town where everyone was outside all the time. I was mostly in Connecticut; I spent a lot of time in Tennessee in the summers, but I was in Stamford, Connecticut. 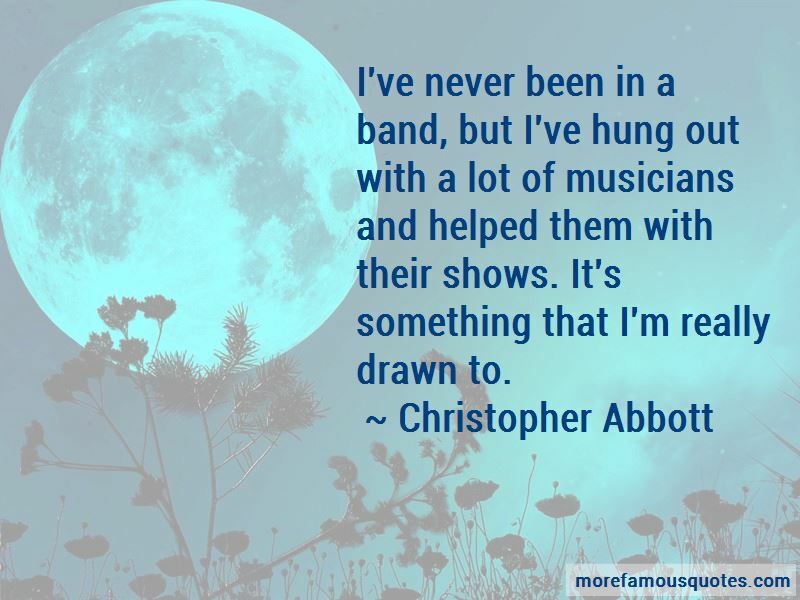 I've never been in a band, but I've hung out with a lot of musicians and helped them with their shows. It's something that I'm really drawn to. I loved movies growing up. I went to the movies with my uncle all the time. But being an actor? I didn't even think about it until I was about twenty years old. I took a class at the college I was at. I don't know why - I just wanted to take a class, and I kind of fell in love with it there. 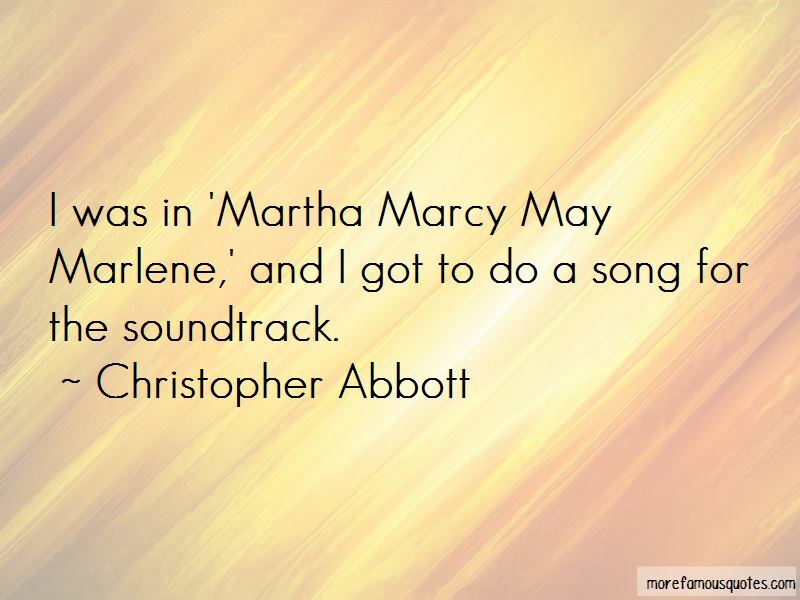 Want to see more pictures of Christopher Abbott quotes? 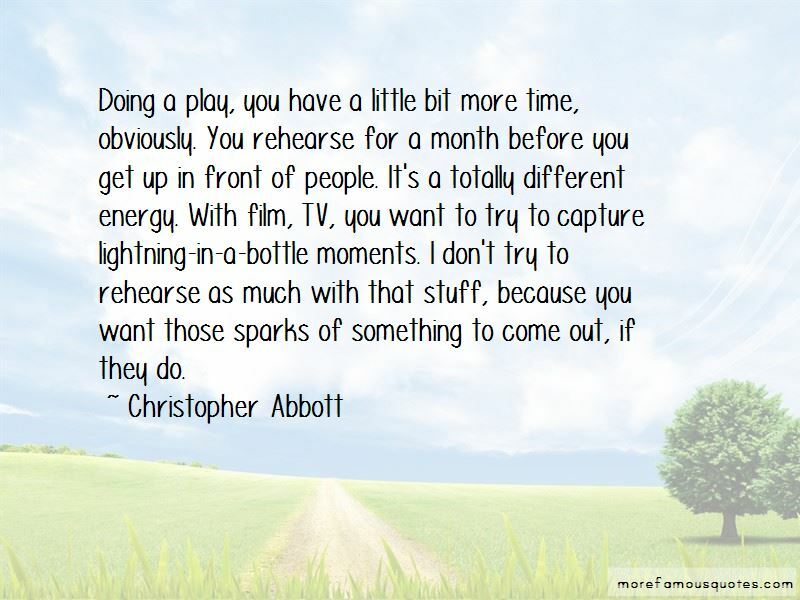 Click on image of Christopher Abbott quotes to view full size.